Heyhey! 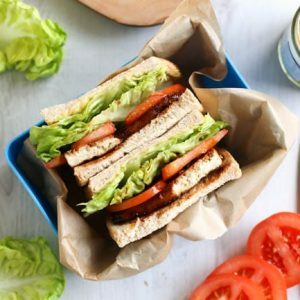 After two months, I’m finally writing part three of my ‘what do vegetarians actually eat?’ mini-series (see part one: breakfast and part two: lunch for tons more inspiration). I’m nothing if I’m not disorganised! If you’re vegetarian, chances are you’ve heard the question ‘uhh, what do you actually eat?’ on multiple occasions, so this post offers you an easy way to answer that question. If that’s never happened, chances are you’ve still been uninspired at times, and wanted some new ideas to add to your dinner rotation – of which, there are lots here. If neither of the above applies to you, then you must be some new, magical kind of vegetarian, and you need to teach me all your secrets please. Onto the vegetarian dinners! Here are lots of ideas to keep your dinners interesting – feel free to add more ideas in the comments! 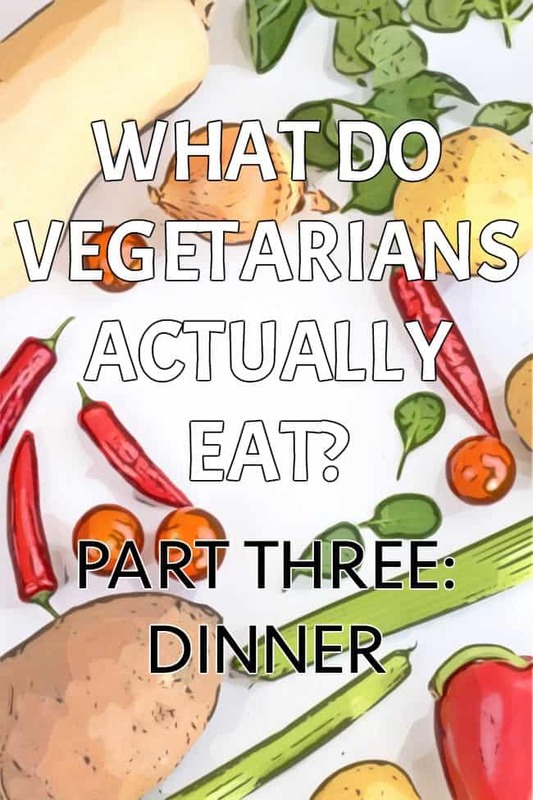 What do vegetarians actually eat for dinner? 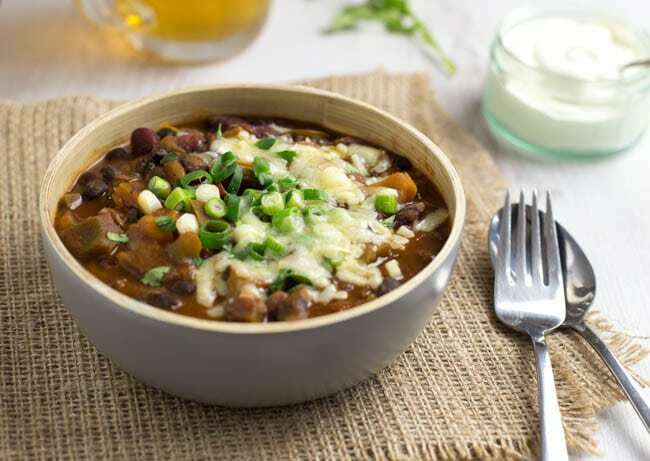 – Chilli – lots of veggies, beans and tomatoes cooked up together, served with rice or flour tortillas. Sometimes I cook it in the slow cooker. – Stir fry – great way to clear the fridge of old veggies! 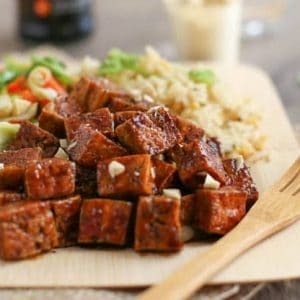 I often add Quorn or edamame for protein, and make a simple sauce from soy sauce, honey, and whatever else catches my eye in the cupboard. Serve with noodles or rice. – Homemade stew – this mushroom stew with cobbler topping is one of my favourites. I usually choose hearty vegetables like mushrooms or aubergine, and make a tasty sauce with red wine, Bisto granules*, Marmite*, or whatever else I have on hand. – Jacket potato with baked beans, cheese, coleslaw, or whatever else I fancy. – Veggie burgers – served in a bun, or in lettuce wraps for a low-carb option. 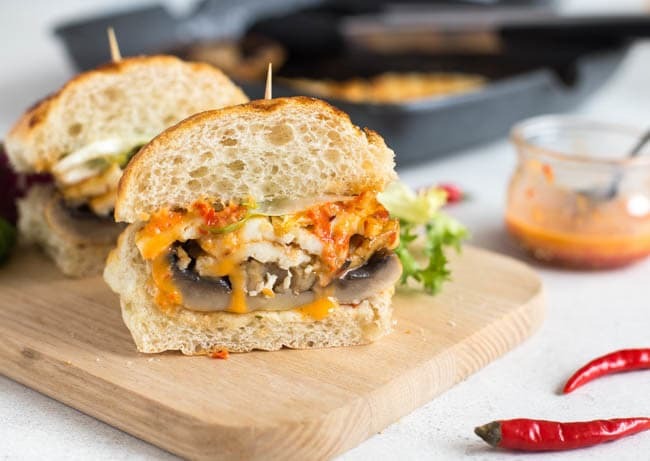 Sometimes I use shop-bought burgers, sometimes I make my own, and sometimes I do something a bit different, like halloumi and portobello mushrooms. – Vegetarian sausages with mashed potato and veggies, or with chips (fries) and beans, or with salad and couscous. 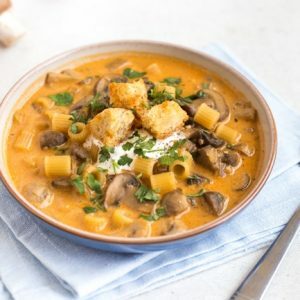 – Thai curry – I usually use a shop-bought Thai curry paste, then add tons of veggies, coconut milk, and some form of protein, plus noodles or rice. Easy and always delicious. – Soup – another great fridge clearer. Just cook off some veggies, and blend with stock. – Veggie nuggets and chips (fries) – I just use shop-bought nuggets, but one day I’ll make a recipe for homemade nuggets. Promise. – Pizza – usually shop-bought, occasionally homemade. With as many veggies as I can fit on top. – Enchiladas – I make Mexican food quite often because it’s the best thing in the world. I stuff my enchiladas with whatever veggies I have in the fridge, plus some beans or refried beans, top them with some kind of sauce (sometimes homemade), and finish with some cheese. – Pasta – this should be a whole post of its own, but I tend to make quick and easy pasta dishes with a simple sauce and lots of veg. There are tons of recipes here if you need inspiration. – Tarts / pies – I try not to eat pastry too often, but a good tart is brilliant for a dinner party treat. My cauliflower cheese tart is a favourite, as are my mini mushroom picnic pies. 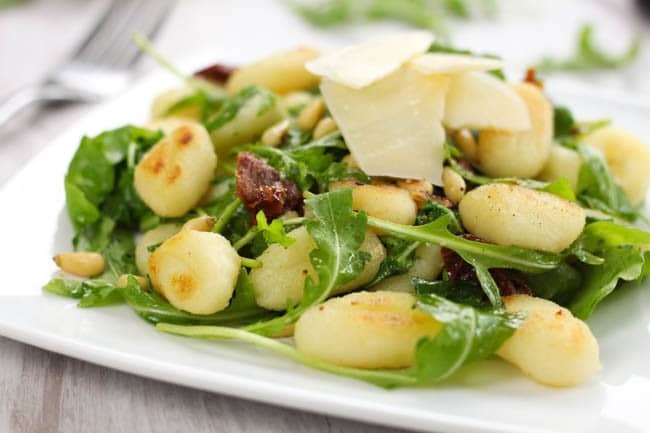 – Gnocchi makes a great alternative to pasta, especially if you sauté it before serving – it gets really light and fluffy. I like to serve it simply with a buttery dressing, like I did here. – Homemade curry, of any variety. Just throw some veggies and chickpeas in a pan (or paneer, if you fancy something different), with some tomatoes and spices. Serve with rice and / or naan bread. – Stuffed veggies – potatoes, peppers, tomatoes, anything that can be hollowed out. – Lasagne – needs no explanation, as it is obviously one of the best foods on the planet. A bit more labour-intensive than some of these other ideas, but always worth it. My puy lentil and goat’s cheese lasagne has had rave reviews. – White bean mash, which I need to make a lot more often. Makes a brilliant high-protein alternative to mashed potato, and is brilliant topped with any kind of veggies. 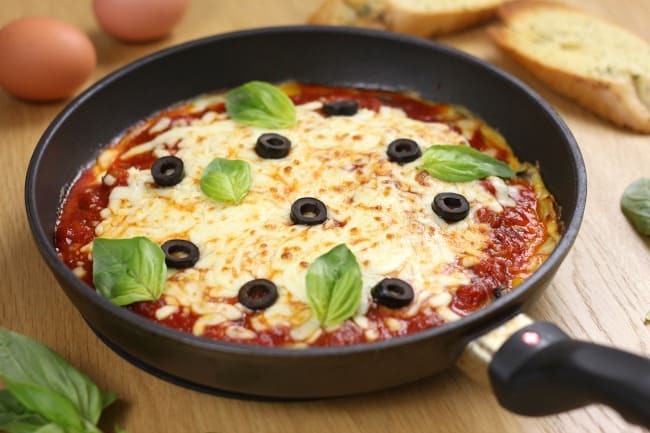 – Frittata or omelette – sometimes thought of as more of a breakfast or lunch dish, but served with some salad or potatoes (omelette and chips = heaven), it makes a great dinner. Plus it’s cheap too! – Risotto, for days when I need some therapeutic stirring. – Burritos – anything wrapped up tightly in a tortilla is considered to be a burrito in my eyes, and they’re always good. Always. – Sausage casserole (especially served with mashed potato). – Falafel (either shop-bought or homemade), served with salad, quinoa, hummus, or whatever else. – Salad, always with enough yummy bits to make it worthwhile. Taco salads, noodle salads, quinoa salads, etc. – Or burrito bowls, if I don’t fancy the tortilla. 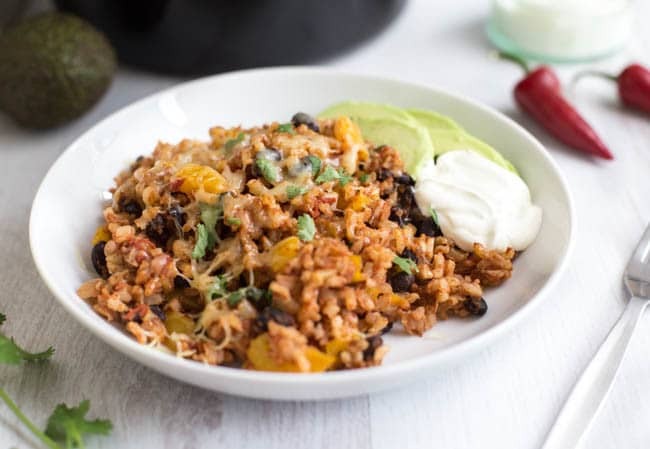 These slow cooker burrito bowls are one of the most popular recipes on this site. 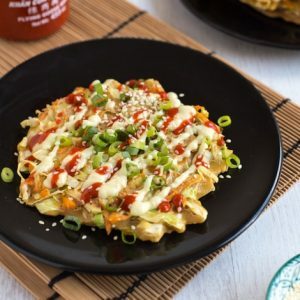 – I often fry up some veggies (whatever’s in the fridge), add some kind of cooked grain (I often use those pouches of pre-cooked grain mixes, because I’m lazy), and some kind of sauce (a dollop of pesto, for example), and call it a day. 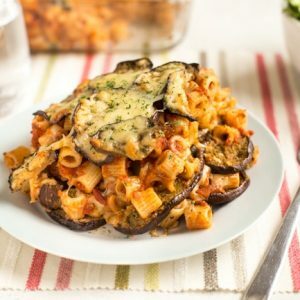 Brilliant easy dinner. 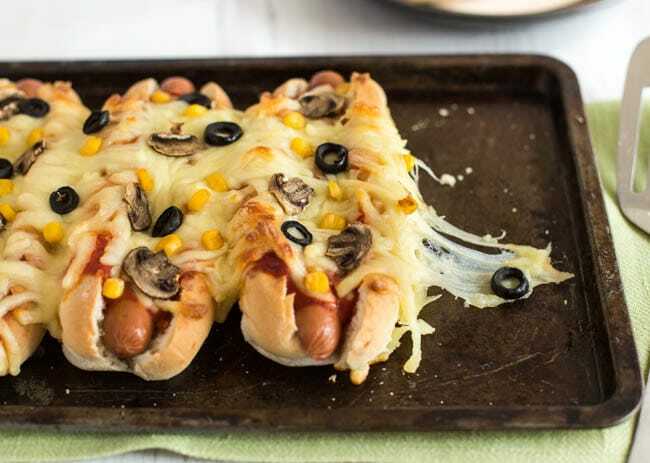 – Vegetarian hot dogs (sometimes jazzed up a bit). – Courgetti / zoodles – a great low-carb alternative to pasta. Serve it with all kinds of sauces. – Take away. This had to be on the list because I definitely don’t cook from scratch every single night. What else would you add to this list? I’m always looking for new ideas! * Note: This post contains a few affiliate links. If you purchase an item using one of these links, I will receive a tiny (seriously, tiny) payment, at no extra cost to you. Thanks for supporting me! You make being vegetarian sound so gosh darn appealing! 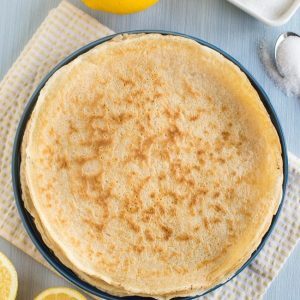 Such a lovely collection of recipes! What a beautiful array of food that can be enjoyed without harming animals or the environment. Now just to get more people on the bandwagon, myself included. Boy I’m feeling hungry now Becca, all these dishes are just mouthwateringly good! Yes to all of the above, thanks :-) It is strange to think people think vegetarians must have ‘special’ food or something. Odd. 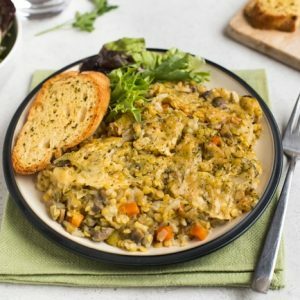 Last week we had a leek and broccoli pasta bake; a mushroom risotto; shakshuka with home-made flatbread; and I forget what else. Oh yes, courgette noodles with corn and tomato and an avocado dressing. On standby for an emergency meal was pasta with home-made pesto, and sweetcorn. And I’m not even vegetarian….. Sounds like you eat very well! :) All sounds delicious. I love that you eat so much vegetarian food even though you’re not veggie. We both like vegetarian and vegan food as well as meat and fish dishes. Tonight’s was stuffed vegetables, done with bulghur wheat, onion, tomato, feta and olives – recipe on my blog. I think it is linked below. When I actually think about it I am baffled that people get confused by what vegetarians eat – as by and large they have a greater variety of foods than most omnivores whose standard meal is meat and two veg. I think that I read somewhere that new vegans double the number of ingredients that they use as they learn to cook with plants. That doesn’t surprise me at all! I think it’s mostly just ignorance and a refusal to accept that there are any other options than just the standard meat and two veg. I’m sure everyone enjoys vegetarian meals occasionally without even realising.